Louie’s medical problems began when he was 12 years old with a perforated colon that resulted in a life-threatening situation. On the critical list for six weeks, he wasn’t expected to live to see 13. Since then, he has had multiple serious illnesses and numerous surgeries over the years. 15 years ago, Louie was diagnosed with renal failure. 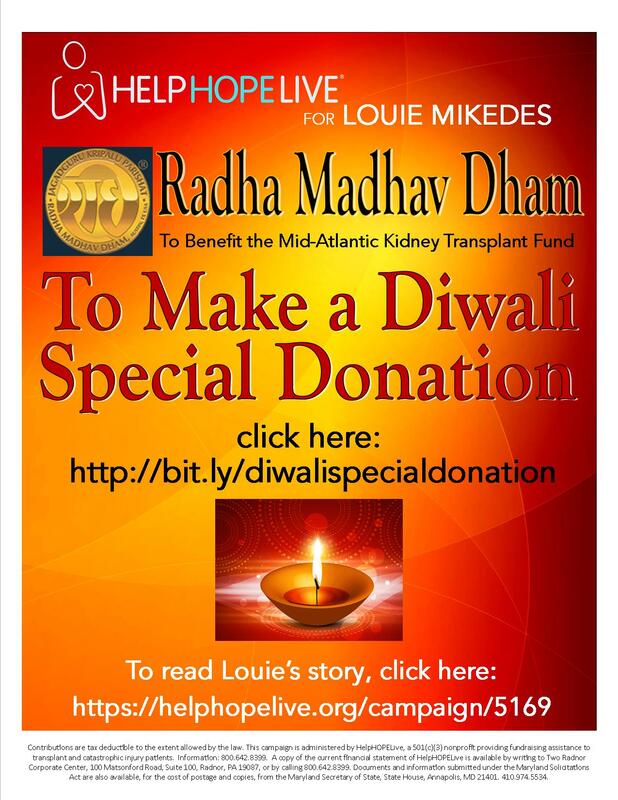 Now, Louie needs a kidney transplant, and needs the help of the community to make it happen. An information systems professor for 35 years, Louie had to retire due to the seriousness of this latest setback with his health. An excellent chef and ‘foodie’, Louie likes to cook foods from Greece his mother’s ancestral home. Once an avid swimmer, Louie is hopeful that with a successful transplant, he will swim again. As with all his illnesses he is dealing with this next obstacle with high expectations and perseverance. Louie’s brother, Peter, will be donating his kidney to Louie. However, funding this life-saving procedure is a monumental task. There are many medical expenses not covered by insurance such as co-pays, anti-rejection medications, Peter’s travel expenses from across the country and more. Expenses are adding up to more than the Mikedes family can handle alone. However, this dream has ended as Peter has passed away from cancer this month, May 2017. His humor, his eccentricity and his zest for life will be terribly missed. To help with the financial burden of Louie’s uninsured expenses, a fundraising campaign in his honor has been established with Help Hope Live, which is a trusted nonprofit organization that has been providing community-based fundraising guidance to patients and their families for 30 years. All donations are tax-deductible to the full extent allowed by law, are held by Help Hope Live, and are administered for transplant-related expenses only. Please consider making a contribution today. Your support is critical to the overall success of Louie’s struggle. Please know that your contribution counts. On behalf of Louie and his family, we thank you in advance for your kind consideration. Thank you in advance for your kind and generous support. Today, the perma-cath was remove by the vascular surgeon, and my dialysis will rely on my grafts, exclusively. Yay! I am pleased to inform everyone that the mew graft has succeeded and is operating well, and hopefully, the Parma-cath will be removed next week. Then, the graft will be ready to use, unilaterally! Yay!! I had another attempt at a graft, to help with my dialysis. This is the 5th attempt, but they all seem to fail for one reason or another, getting clogged in the bypass. Lets pray this on works!! September is going to be a banner month, I can feel it!I believe my Kidney ‘fund will take off, and that a Kidney will be donated for me to get! Let’s get together and make this happen! YES! August was a banner month for me. I had a minor “face-plant” onto my neighbors asphalt driveway that resulted in a subdural hematoma (a brain bleed) and some scars by my right eye. I looked like I’d been in a street fight!! To make a long story short, I was admitted to Suburban Hospital’s intensive care unit. As a result, Washington Hospital Center had to re-evacuate me as a kidney recipient. The mews was GREAT!! I am viable and I am now eligible for a kidney. All I need now, is a kidney donor!!. It’s been one rough month! July has seen me hospitalized 3 times for various ailments, from my dialysis port failing to throat constrictions. But I keep soldiering on, and thanks to all your donations, prayers and good vibe thoughts, I have no doubt all will be fine. Love you all. HelpHopeLive has continued to provide assistance as I have transitioned to Dialysis. I have treatments 3 times a week, on Monday, Wednesday, and Fridays for 3 hours for each session. I have lost 30poundsover the course of treatment. It is quite an ordeal, leaving me fatigue and I need your help now, more then ever before !. Due to a most generous donation from Marafatsos & Sons construction, I have finally reached the halfway point in my campaign goal of $100,000! Thank you, Petros! I’ve had an up and down few months, an aortic valve replacement done for aortic stenosis which resulted in a vast improvement in my cardio, but summer has need brutal. I’ve had balance issues and extreme fatigue. I had a shot to increase red-blood cell production which has helped. Still, I am waiting for a donor and funds for my transplant. I would like to thank those anonymous Facebook friends who have been so generous in their contributions to my fund. Thank you for your generosity. 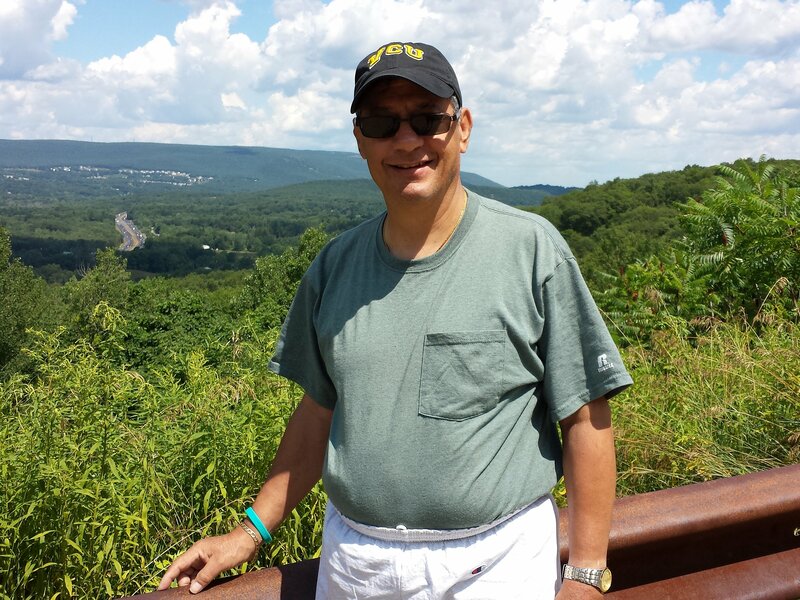 Easter 2016 – I just had successful Aortic Valve replacement surgery via my femoral artery. I am ecstatic over the results as I have a HUGE improvement in my ability to be more active. 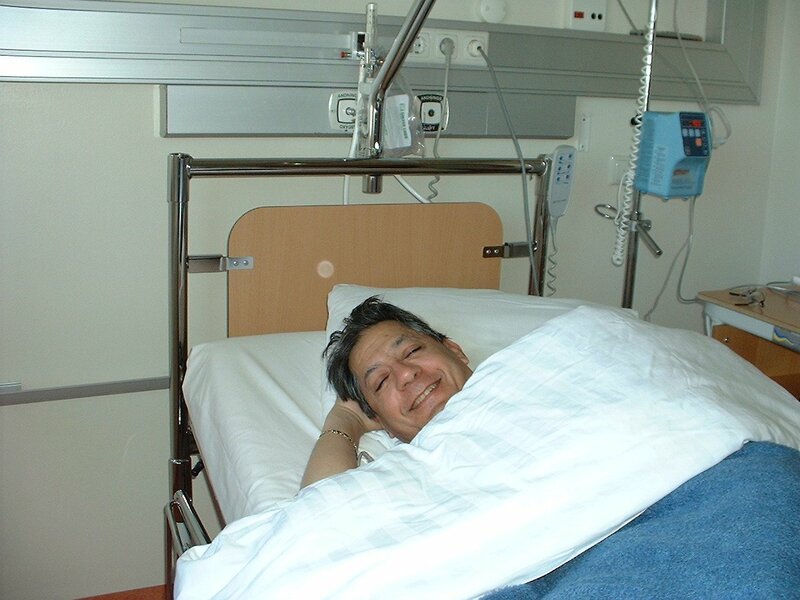 However, immediately after surgery, I did need several dialysis sessions as my kidneys took a hit. But, they rebounded after a few days and I was able to be discharged after spending 2 weeks at Johns Hopkins University Hospital. The care and treatment were superior, and now I know why they are so highly regarded, as they proved it to me!! Please help defray these costs! I am pleased to see we are ALMOST halfway to our goal of $100,000 dollars! Let’s try to get over the halfway mark by digging deep and making a donation. Inform your friends and family about this serious fundraiser and urge them to please help. We are 1/3rd the way towards my goal of $100,000!! It has been a hard journey, but with the great support of family, friends and the community, we have reached a significant milestone in our fundraising. Next week, I will be undergoing some very sensitive testing that may impact my kidney functions, so I am hoping and praying for the best possible outcome. I hope everyone had a great Christmas and holiday season, and I wish everyone a Happy New Year!! I wish to thank all of those who have made such generous donations, organized by Radha Madhav Dham, Austin TX. Your help has made a HUGE difference in my ability to pay uninsured medical expenses. I am grateful to all of you. My fundraising is still active, but the going is slow. I have been in an “information dissemination” mode, to try to stir up interest. I must admit, its’ slow going. More information to follow, so stay tuned! I would like to thank all my Facebook friends who generously responded to my plea could help with jumpstarting my stalled fundraising effort. You are the bomb!! I am honored to be the recipient of this years Palm Sunday luncheon fundraiser, held by the Ladies Philoptochos Society, Sts. Constantine & Helen Greek Orthodox Church of Washington DC. Their support in helping me attain my campaign goals has been overwhelming. Thank you all, so much! Thanks to HelpHOPELive for their generous $1,000 patient grant. It helps me reach my fundraising goal. Recent changes in Kidney transplant waiting lists has rearranged the protocol go allow dialyzed patients to bypass the waitlist and jump to the top of the list. This means many of us are dropped to the bottom, unless we get a live donor! Are YOU the one to save my life?? Do you know SOMEONE who is?? I NEED your help! Become a donor today! Once again, my heartfelt thanks to the Ladies Philopticos of Sts. Constantine & Helen Greek Orthodox Church for their sponsorship for a luncheon held at the Greek Island Village restaurant in honor of my Kidney Fund, Thank you, thank you, thank you! I am proud to announce that the wonderful folks at Ideal Living of Sherman Oaks California has made a generous donation to my transplant fund. Innovators of Infomercials and Direct Marketing, they have really provided a spark in getting my fund going again after a lull in donations. Thank you for your amazing support. The Ladies Philopticos of Sts. Constantine and Helen Greek Orthodox Church of Washington DC has donated the proceeds from a Food Basket raffle to my Transplant Fund. I am so grateful for their generosity that the local Greek community could made this happen! Yasoo! Other Church groups are encouraged to create clever fund raising ideas….! Good news! My blood work is stable and my baseline creatinine levels are unchanged. I go back to my nephrologist in a few weeks to follow up. Here’s hoping all continues as hoped!! The homepage picture is a photo of my friend Cory Harrison a.k.a. 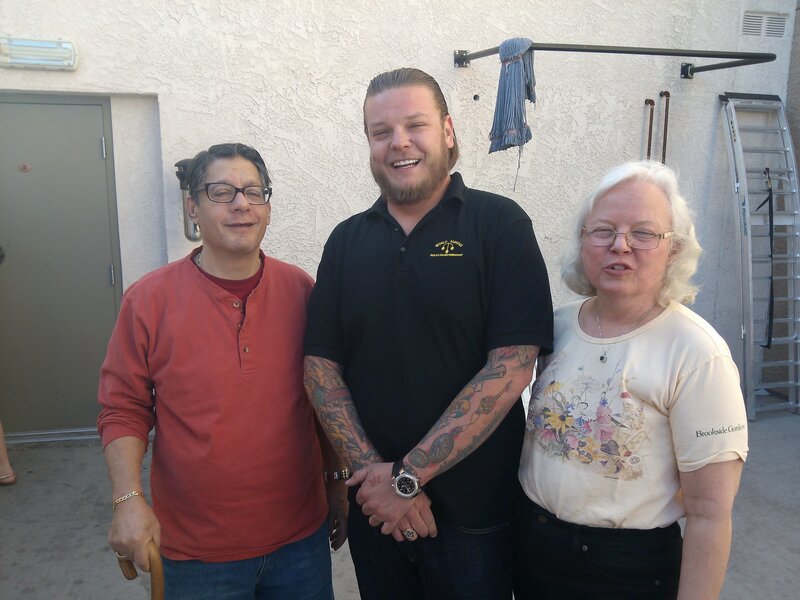 “Big Boss” of the TV hit on the History Channel, “PawnStars” and my sweetheart, Alicia. Happy New Year to all of you have given so generously to help me in achieving my goal !! May “2015” bring you Health and Happiness in this coming year. I would like to thank George and Bessie Koutras of Frederick, MD for their kind and generous contribution, and who helped fulfil a Christmas wish. σας ευχαριστώ ! A Turkey Basket Raffle will take place on Sunday, 11/22 at St Andrews Ukrainian Orthodox Church. Tickets are $5.00 and the proceeds will go to help the fund for Louie’s kidney transplant ! I am happy to report that I was able to raise $ 750 during my weekend fundraiser in Austin, TX. My thanks to the directors of Radha Madhav Dham for donating the vendor booth and helping to make my campaign to sell teal bracelets “helpHOPElive for Louie” such a success! I just attended a festival in Austin, where the folks at Radha Madhav Dham generously donated a vender booth where I could distribute literature concerning Kidney Donations, Myths and Facts, and registration material to donate. I also was able to sell helpHOPElive teal bracelets to help raise money for my transplant. I was able to collect $700 for my fund! Thank you all for your help and your generous help in getting to my goal of $100K! You’re the best!! and we will succeed in raising the necessary funds for a successful surgery. Keep on prayin’ and keep on payin’!! I am very blessed to tell you that another faith based organization has joined in this effort to reach my goal. Father Kosmas Karavellis, of Sts. Constantine and Helen Greek orthodox church in Annapolis, Md. is assisting in spreading the word to help in this enormous undertaking. I am truly blessed for all those who have contributed their time, effort and money to help meet the $100,000 goal! Bless you all. Sts. Constatine and Helen Greek Orthodox church in Silver Spring Maryland has been featuring my fund in their Sunday bulletin as part of their community outreach program. I am honored that the Church has made my fund-raising program part of their mission. All my thanks to the Parrish Council and Father Michael for their help in making this happen. To all of the ‘anonymous’ donors who so generously donated to my campaign, I would like to express my most sincere gratitude to you, as I can’t thank you personally. Your compassion is overwhelming. Thank you! Thank you to those who have given so generously to this fund to date. With your continued help, we can attain our goal in no time! Please let others know of this effort. My most sincere gratitude to everyone. My fundraising campaign is off and running! I am confident that with the help of generous donors, I will reach my goal in no time. Remember to pass this on to others who may feel the need to help. Thanks again to everyone who contributes. I am just starting my fundraising campaign to help with my kidney transplant. If you can help, please link to www.HelpHopeLive.org to contribute. All funds are tax deductible and will go only towards transplant expenses. Please donate what you can, as the expenditures are considerable. I will keep everyone updated as surgery nears.